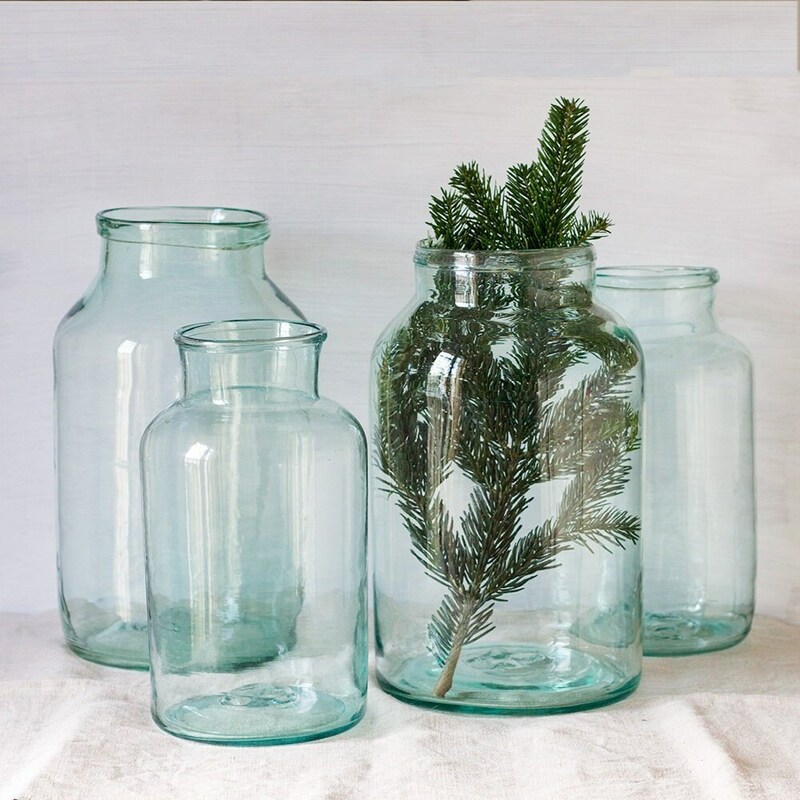 These beautiful blue-green French pickling jars are a timeless pieces in any home. 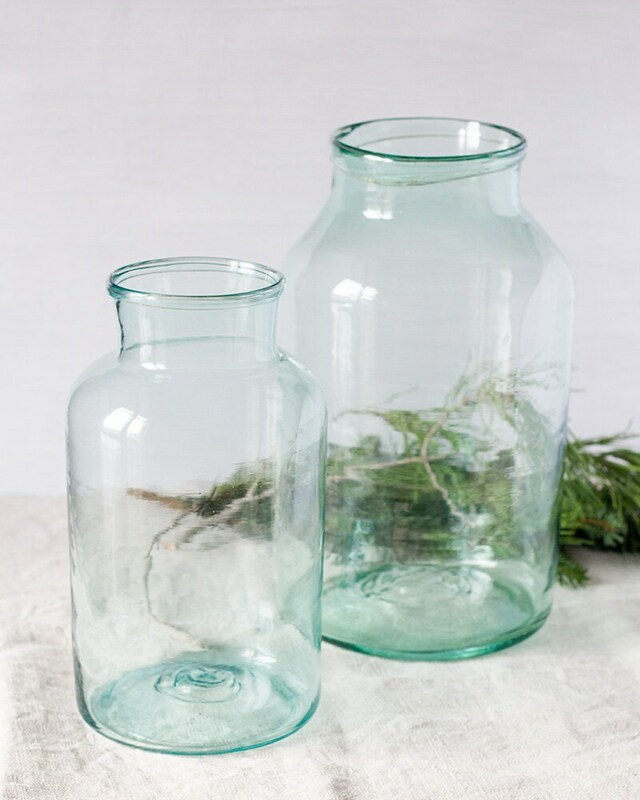 Use as is or full with decorations, cut branches, or fresh fruit. They are also stunning turned into lamp bases. 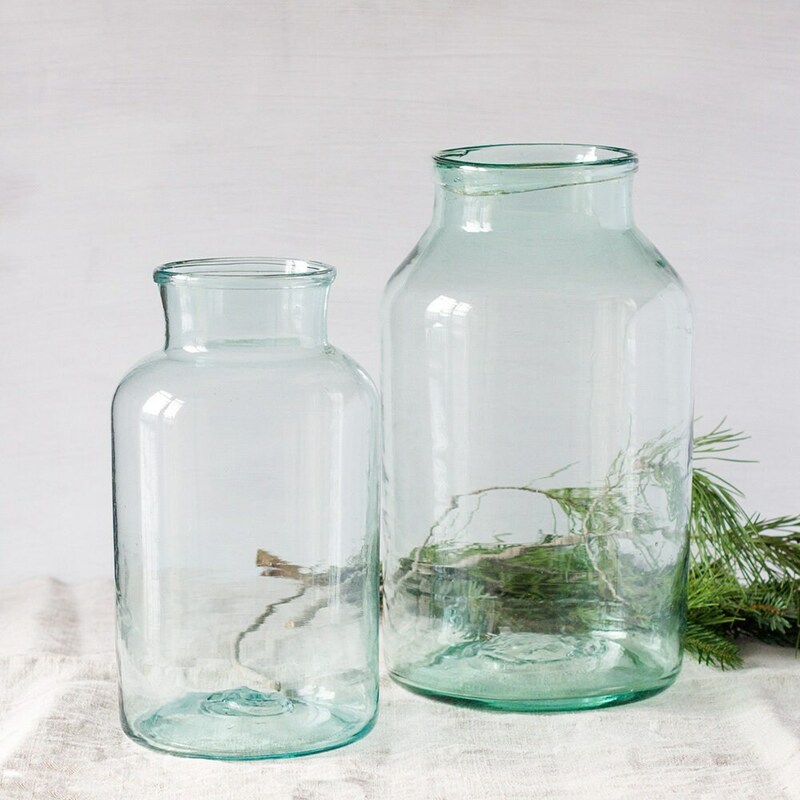 Handmade, they each have their own shape and little details like tiny air bubbles or wavy glass, giving them lots of character. Listing is for 1. Two sizes available, small or large. These pieces wear their history like all vintage pieces which only adds to their story. 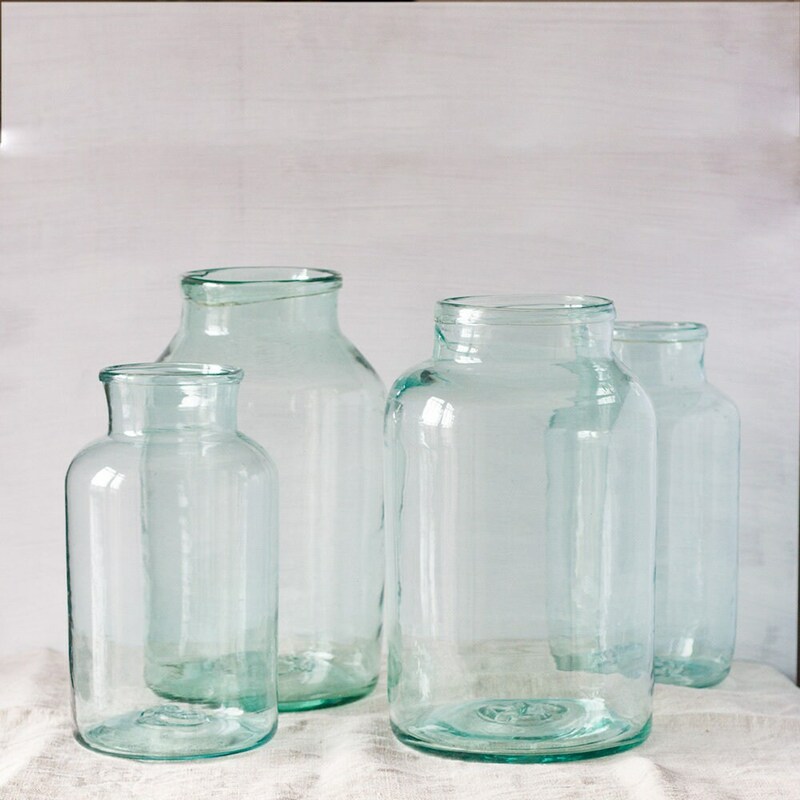 These jars are in excellent condition no major chips or cracks. 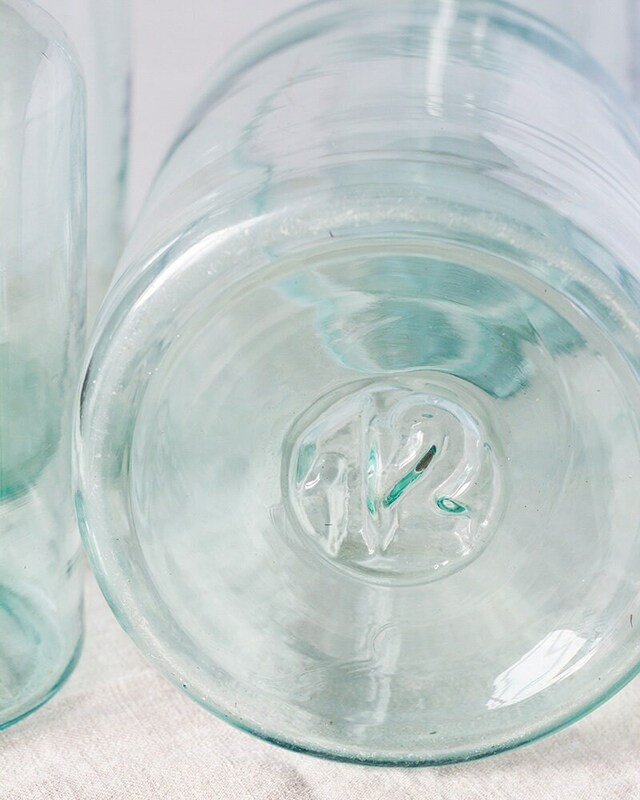 One large jar has a small 3.7 cm/1.5 in interior crack (see 6th picture). 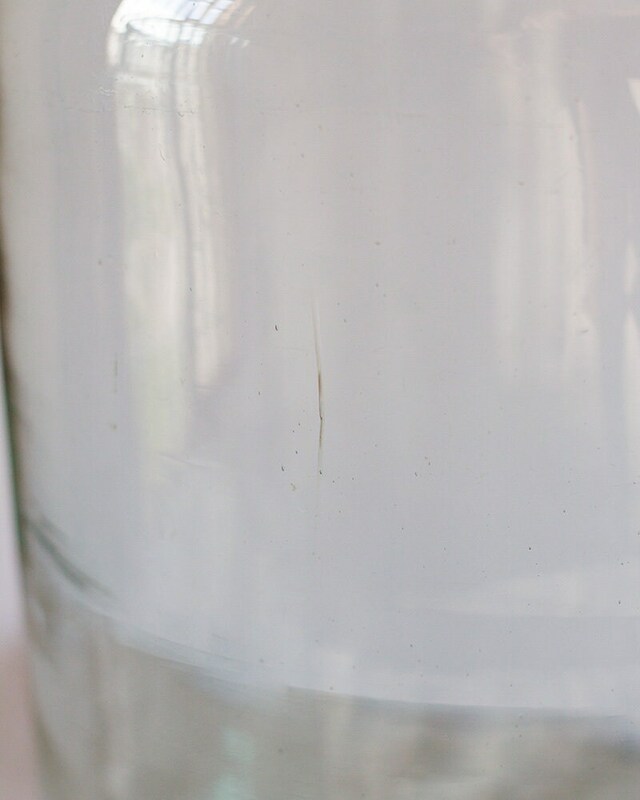 Slight wear and surface scratches consistent with normal use.